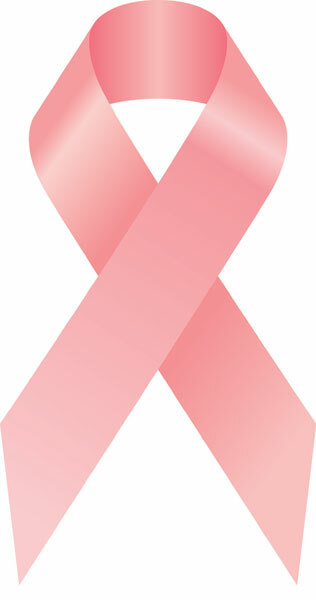 Approximately one in eight women will develop invasive breast cancer over the course of her lifetime. If you or someone you know is living with breast cancer, and are receiving treatment in the form of chemotherapy or radiation, then you are aware or perhaps experiencing for yourself many of the unpleasant side effects that come along with it, including fatigue, hair loss, and nausea. One area that can get overlooked is how chemo and radiation affect your mouth. Oral complications can compromise your health, and one third of people being treated for cancer will experience some form of them. October is National Breast Cancer Awareness month, and during this important month, we would also like to raise awareness about the effects of chemo and radiation on oral health. In healthy individuals, the most rapidly dividing cells are the lining cells of the oral cavity and the upper esophagus. However, when you are receiving chemotherapy or radiation, these normally rapidly dividing cells of the mouth do not replicate, and as they are sloughed off via regular eating, brushing, etc., the tissue becomes thinner. As the tissue thins, it may also ulcerate. These ulcerations (mucositis) are the first and most common side effect, occurring as soon as eight to ten days following the beginning of treatment. They can affect your ability to chew, swallow, and even speak. Oral infections are also very common in cancer patients when the ability to fight infection is lost as the white blood cell count drops. Fungal infections are by far the most common, characterized by redness of the tissue, a burning sensation, and a white coating on the tongue. Another common complication from individuals undergoing radiation to the head and neck area in particular is xerostomia (salivary gland dysfunction), resulting from reduced or absent saliva flow. It can leave you with a sore throat, difficulty eating and speaking, hoarseness, cuts around the mouth or lips, and a burning sensation in the mouth or throat. Cancer patients experiencing xerostomia are at a higher risk for infection, and may require a saliva substitute or stimulant. Clean your mouth every four hours and before you go to bed. If you have a lot of mouth sores, you may wish to do this more frequently. Brush with a very soft pediatric toothbrush, and replace it often. Use a gentle, fluoride toothpaste. Rinse as often as possible with a soothing mouth rinse like The Natural Dentist Healthy Gums™ Mouth Rinse, that doesn’t contain alcohol, harsh chemicals, preservatives, or dyes. The Natural Dentist Healthy Gums Mouth Rinse is the only product on the market with a therapeutic amount of aloe vera, proven to soothe painful mouth irritations. Avoid alcohol and tobacco products. Avoid crunchy and spicy foods, as well as citrusy drinks. Don’t eat or drink food or beverages that are hot and can potentially burn your mouth. Examine your mouth every morning and night for changes. If possible, visit your dentist at least two weeks prior to beginning treatment, and get any necessary dental work done at that time. Even if you don’t need any dental work done, you should still arrange a consultation with your dentist to identify and treat problems that can contribute to complications during treatment. For more information about the way chemotherapy and radiation affect your oral health and to learn how The Natural Dentist Mouth Rinse can help, visit http://rinseforrelief.com/.